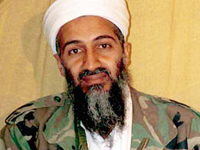 An al-Qaeda leader Osama Bin Laden has sent another message, in which he blames global warming on the US and other big industrial nations. The audio tape also urges a boycott of the US dollar. While the Yemen-based regional wing of al-Qaeda has said it was behind the attempted attack. BBC News com. has contributed to the report.